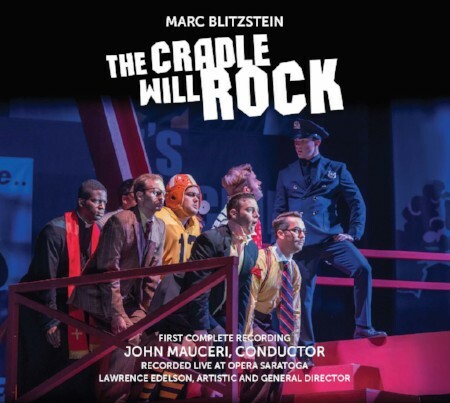 The first complete recording of Marc Blitzstein’s 1937 Broadway opera, “The Cradle Will Rock,” with Blitzstein’s original orchestrations, has been released by Bridge Records with John Mauceri conducting. The 2-CD set recorded last summer at Opera Saratoga includes a 14-minute discussion by Blitzstein about the tumultuous opening night in June 1937, when the cast was forced to relocate to a completely new theatre after the show’s political themes caused it to be shut out of its originally scheduled venue. With songs that explore issues of immigration, income inequality, and the freedom of the press, this new recording remains as timely as ever.